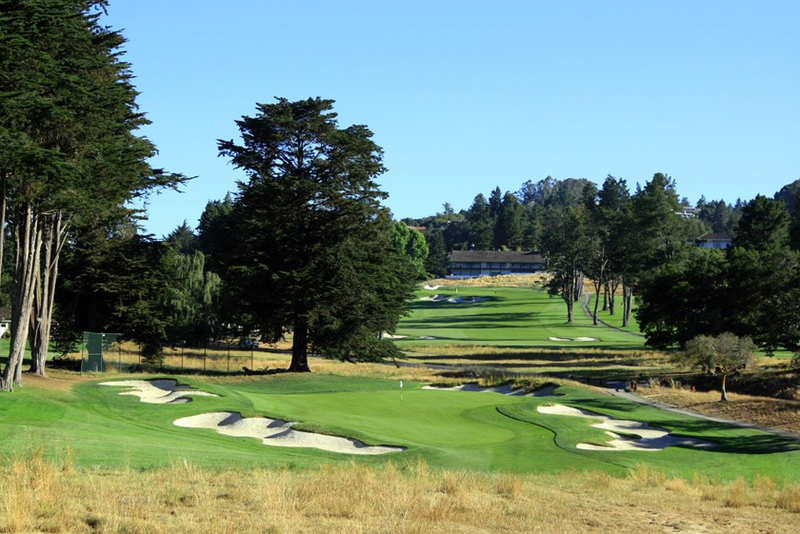 Renowned for its top world ranked golf course, Pasatiempo is truly a golfer's paradise. The gated community is one of the top choices for home buyers that want security, privacy and a great investment when searching for their next home. If you have already reached the pinnacle of success, then there are plenty of reasons to choose to live in Pasatiempo, CA. This exclusive community in San Cruz County was planned and developed by Marion Hollis, a pioneer in US women’s sports and the US Women’s Amateur Champion in 1921. With a golf course designed by Alister MacKenzie (who also designed Augusta National) and surrounded by the Pacific Ocean, who could say no to living in this gated community? The Hollins House is the original clubhouse, and its architecture serves as testament to its era. It offers a truly elegant ambiance with its crystal chandeliers and high ceilings, and the views of the Pacific are spectacular which makes it a favored location for weddings. The Dining Room is open to the public from 5 PM to 9 PM from Tuesday to Friday. The Tap Room has been hailed by Golf Digest as one of the best 19th holes, and countless golf legends and Hollywood celebrities have spent some time here. This is a place for a relaxing dining experience, and it’s perfect for celebrating your victory on the golf course. The MacKenzie Bar & Grill is open for breakfast until happy hour from 8:30 AM to 7 PM, and it is open to the public every day. The full bar features single-malt Scotch, and the veranda gives you a great view of the golf course and Monterey Bay. It’s fair to say that most of the people who live in Pasatiempo are very successful. After all, the current median home price here is $942,000 and prices have increased by 10.7% from last year. The community occupies less than a square mile, and the latest estimates peg the population at just 1,183. The luxury homes of the Pasatiempo golf course community speak volumes about tasteful elegance, an appreciation for the well thought-out use of space to skillfully blend functionality with beauty of design. While the homes offer privacy, they are by no means restricted or confined. Many properties here have breathtaking views of the Bay and Greenbelt areas. But more than giving access to luxurious living at its finest, the Pasatiempo golf course community provides advantages within the reach only of those who live in both a gated and golf course community. Ease of living – typically, gated communities have amenities that are well- managed by an association or cared for by a professional community management team. This removes the stress associated with the necessity of homeowners having to attend to the personal maintenance of their neighborhood and its facilities. Security – a gated community is safe and secure, protected from threats typically occurring in non-gated neighborhoods. There are also facilities and personnel to address emergencies as they arise. Privacy – communities that are non-gated are more open to the possibility of public exposure. In a gated community, the neighborhood stands as one to protect the privacy of each homeowner. High property values – a gated community requires adherence from the property owners to guidelines meant to protect the value of their properties. This is achieved by a communal effort to maintain yards and landscaping at their best, to keep homes clean and to prevent states of disrepair. The end result is a pleasing look to the community that makes it appear desirable to live there, thereby maintain a high property value. While not all gated communities have a golf course as one of its main features, Pasatiempo is among those that can also revel in the presence of its own golf course. Even non-golfers can appreciate the lush greenery that comes with a golf course. The greens are great for breathing exercises and relaxation. The grounds can also be used for jogging or brisk walking. Community adherence to higher standards – this applies to home design and functionality, sustained maintenance of elegant and well-cared for appearance, and a collective interest in keeping the collective beauty of the community intact, down to the cleanliness of the exteriors and common areas. Huge, tranquil spaces – golf courses are often designed around a master plan that incorporates the best of nature. Well-cared for forests and meadows, and well-manicured are the highlights of a typical high-rated golf course. Even sand traps are carefully arranged to blend with the natural environment. The result is a serene and spirit-affirming neighborhood. Community involvement – even if gated communities value privacy, a strong sense of community prevails. That is because of the shared interests of the residents, whether it is in keeping a stress-free lifestyle or promoting an appreciation of nature and healthy activities such as golfing.